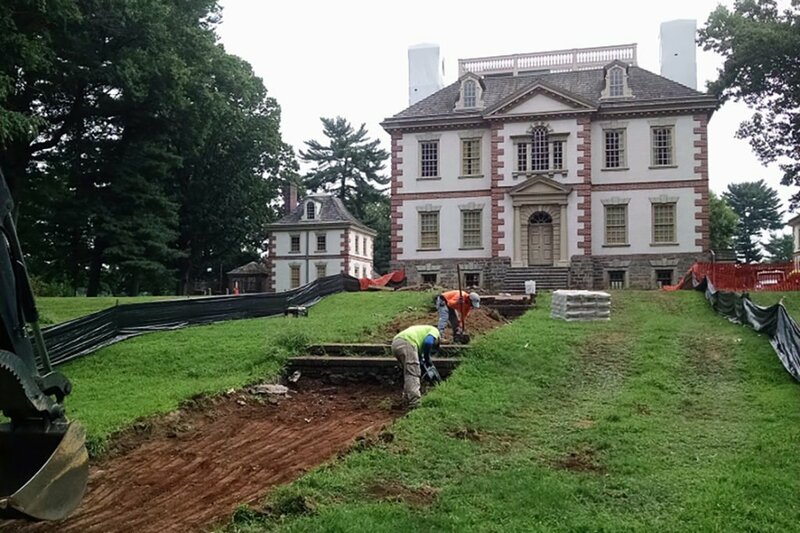 The elegant Mount Pleasant estate on the bluffs of the Schuylkill River was the 1760s home of John Macpherson. 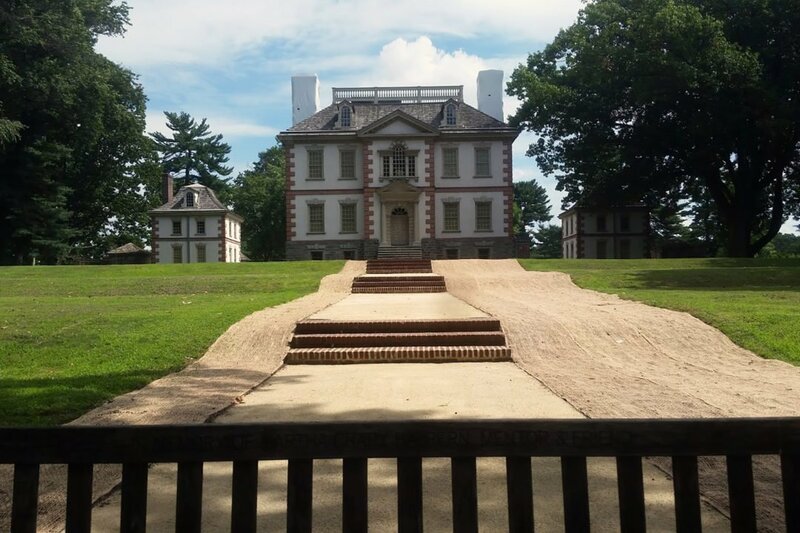 More than two centuries later, the house now sits within East Fairmount Park and is managed by the Philadelphia Museum of Art as an historic house-museum. 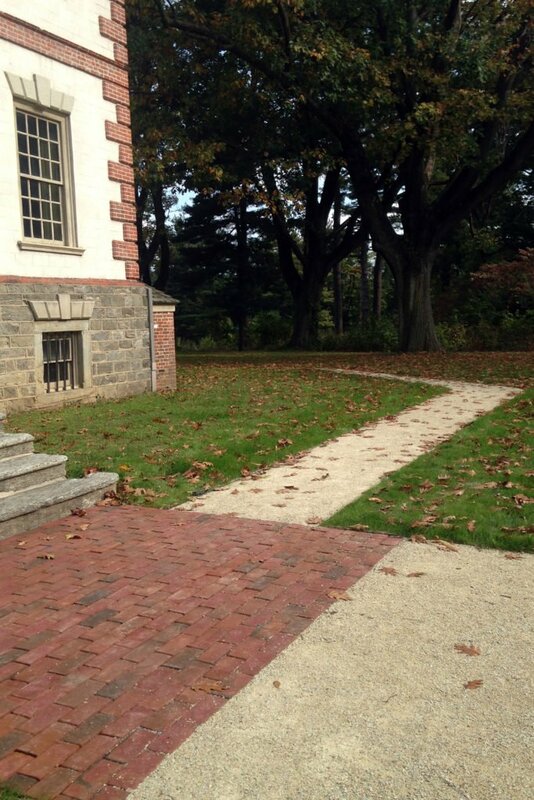 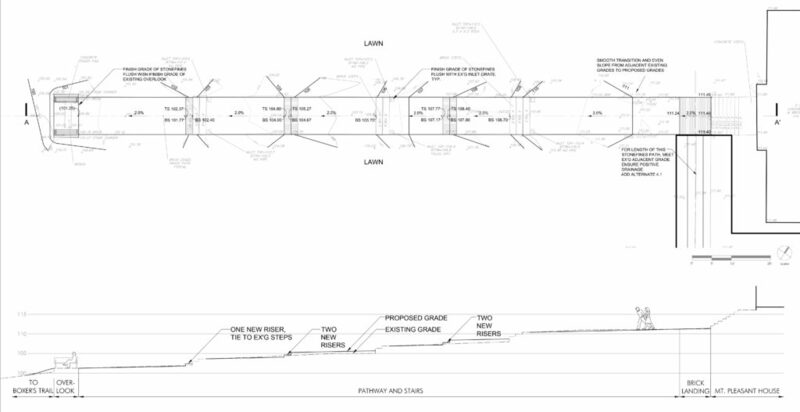 TEND designed renovations to a key pedestrian route leading from Fairmount Park’s Boxer’s Trail to the main entrance of the house, oriented toward the river. 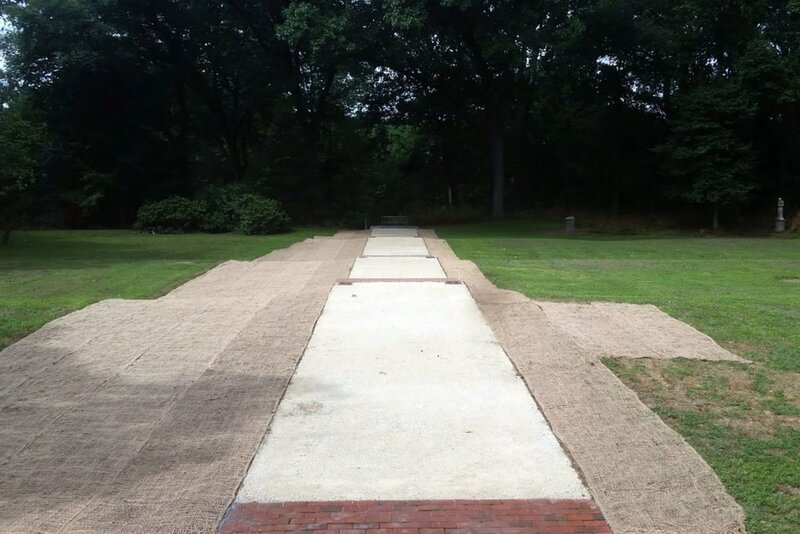 Installed in 2016, new stone aggregate paving and additional steps facilitate circulation and highlight the formal façade of this important structure.